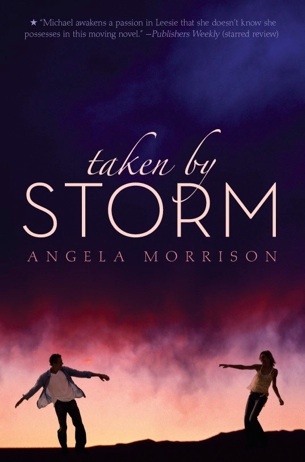 I was really enjoying Taken by Storm by Angela Morrison ... I was convinced by the characters and the romance. I enjoyed seeing a different conflict here than I'd normally see. The girl is struggling with the ways in which her religious beliefs (she's Mormon) coincide with her love life and the boy is grappling with the amount of grief he is feeling over the loss of his parents and his desire to reconnect with his passion of diving. Together they find each other, and their relationship helps heal some of the loneliness and pain that they feel individually. And sorry to spoil the story for you, but it ends with the pair going their separate ways. She has been accepted into a prestigious Mormom university that she's been dreaming about going to, and he's finally been able to say goodbye to his parents and gets a dream job in Thailand. The two realise that what they had was lovely, but their lives are going in two different directions. And I thought that their choice was lovely and realistic and I couldn't be happier about their decision. Sometimes, I feel, that certain people come into our lives for just a short period of time and manage to change things for the better. I find that I don't need to be told explicitly how a story ends to imagine what the characters' lives would be like after the last page. And for these two I had wonderful daydreams about them finding happiness separate from each other and it still made me happy. ...And then imagine my surprise and disappointment to learn that this book is the first book in a trilogy. And the next book concentrates on getting back together and working out the differences in religion and location in order to be together. AHHHH. Why is it necessary?! 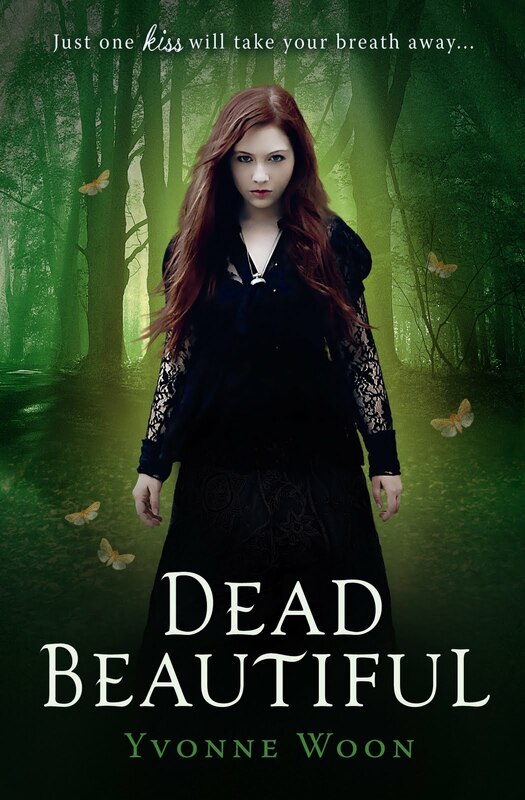 On the same sort of note, there's Dead Beautiful by Yvonne Woon. I'm really using the word 'lately' here loosely as I read Dead Beautiful last year. But I remember being a little skeptical about the book before I started reading it because I didn't know at all what sort of paranormal creature its page would be concealing. So I went into without knowing much about it. And I really loved it, I thought it was a beautiful book. I loved the atmosphere of this creepy boarding school with its outdated rules (no kissing allowed!) and the weird subjects like Latin and horticulture. It was fun for me to unravel the secrets of this boarding school and the secrets surrounding the paranormal creatures of infest this school. And at the same time, I thought the relationship between Renee and Dante to be utterly sweet. I should have realised that this book is the first book in a trilogy, hence the length of detail setting the scene and the characters, but I didn't. So when in the final moments of the book, Renee kisses Dante in order to save him and in doing so reduces her life to something like 7 years and in return, Dante kisses her back - therefore taking back her sacrifice and in effect killing himself, I cheered. I thought what a beautiful ending. And it was romantic and emotional, and I loved the idea of this story ending there. I thought about Renee moving on with her life and always remembering this great but brief relationship as a teenager at school. But no. The story carries on, and I would imagine the two are working on a way to break this curse and be together? Do I think it's necessary? No. I prefer the ending that I imagined on my own. I'm all for love and grand romantic gestures and happily ever after. But does it always have to be so? I'll give you one final example of an ending that annoys me no end. A few weeks ago, I finished the third book about the Fuentes brothers, Chain Reaction Simone Elkeles. I've always enjoyed Simone Elkeles' stories, but I was never a die-hard fan. I didn't really like Alex in Perfect Chemistry and the way he kept saying 'mamacita' in a way that made my flesh crawl. But I still liked the story and was intrigued by it enough to pick up his brothers' stories. I really liked Carlos and Kiara, I much preferred them as a couple. And I quite liked Nikki and Luis, even though both felt very similar to Perfect Chemistry. There's just one thing I didn't like more than anything else... those epilogues. Let me repeat again, I have no problem at all with happy endings, or with love interests getting together at the end and with that perfect kiss or moment - but I do feel like some things need to be left to the imagination. I don't need to read that Nikki and Luis stay happily together for the next few decades and pop out triplets who're on the hockey team for me to finish the story with a smile on my face. I can imagine their happy lives without knowing specific sickly-sweet details like that. Especially if those details are so cheesy and over the top! Is that just me? What do you think about these sort of endings? Would you prefer the romances always to work out? Do you like epilogues to know for sure how a story or a couple ends? Give me your opinions in comments, please! When the title of this post came up, I panicked and thought you were stopping blogging! Thankfully you're not! :) I agree with you about wanting them not to end up together as well - it just isn't realistic. 'A bit'?!? :) Yes, they were!